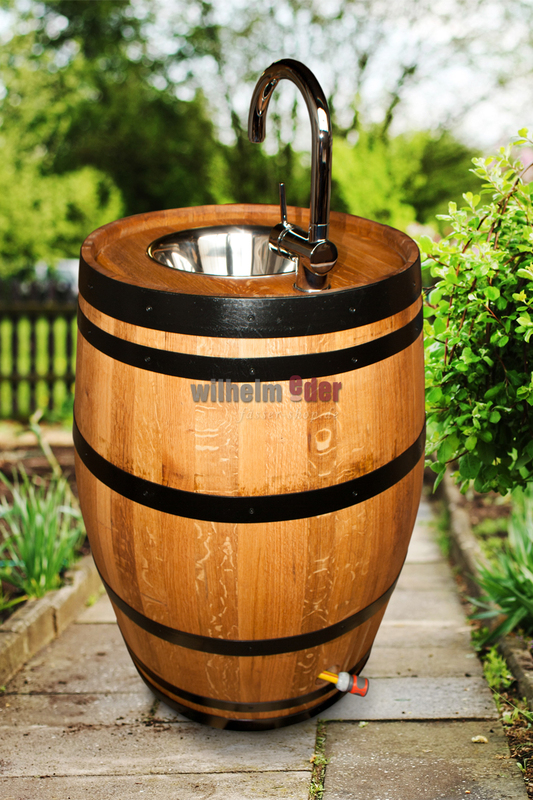 Product information "Barrel with fittings and a sink"
A used wine barrel 225 l, professionally cleaned and sanded in our own carpenter shop. Both ends are opened and the staves are glued together, the hoops are fixed with nonvisible nails and the wood had a linseed oil treatment. 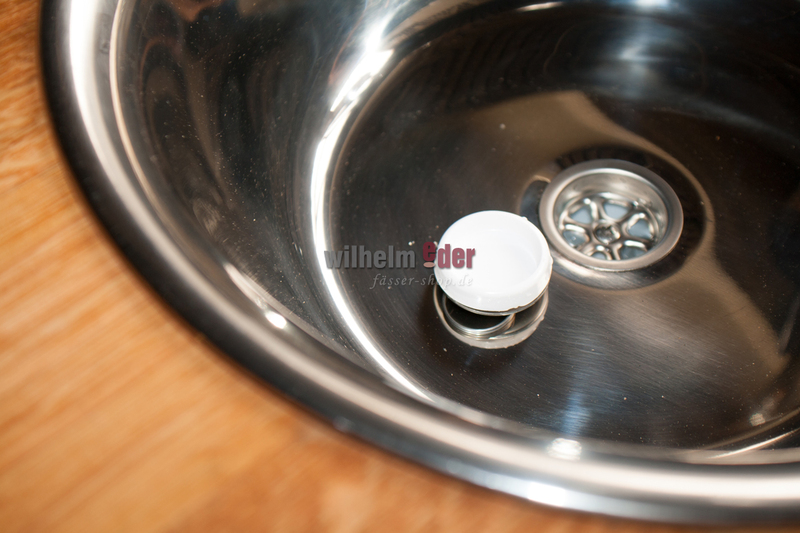 The barrel has a stainless-steel sink and in the inside there is a hidden container for waste water. 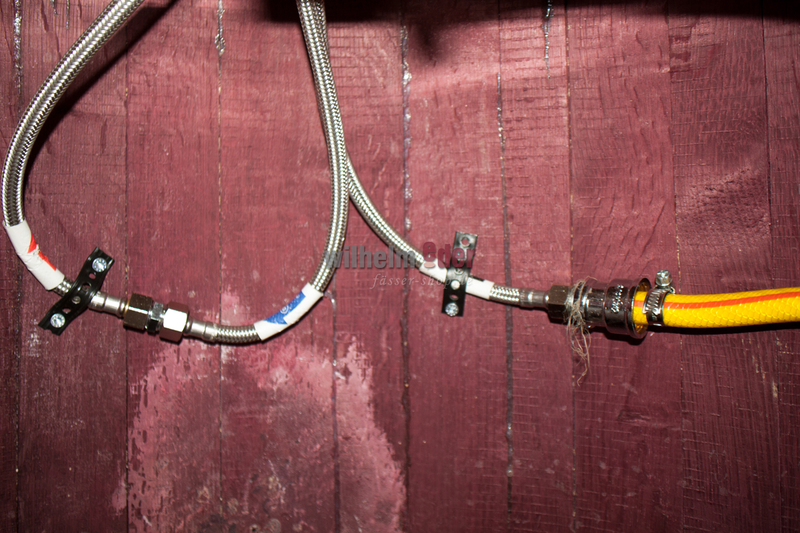 You can connect it to a garden hose. Emptying of the container is manual. 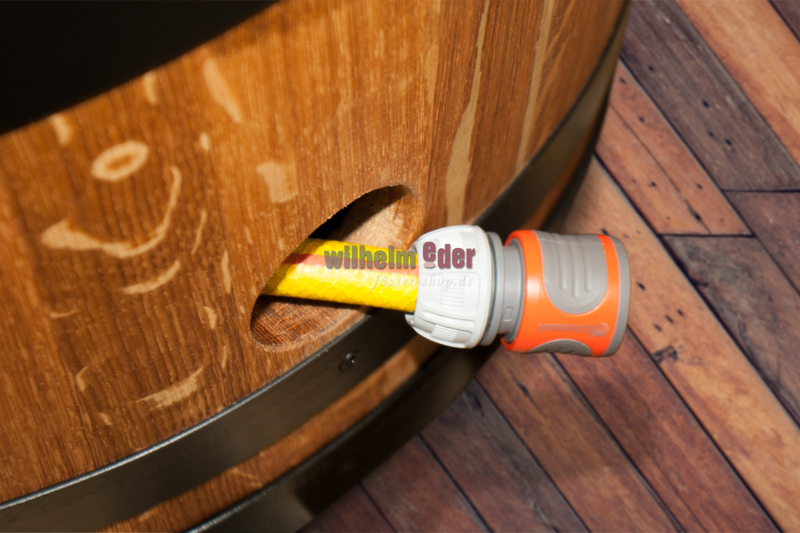 There is also a hole at the backside of the barrel, so the water can automatically drain outside. 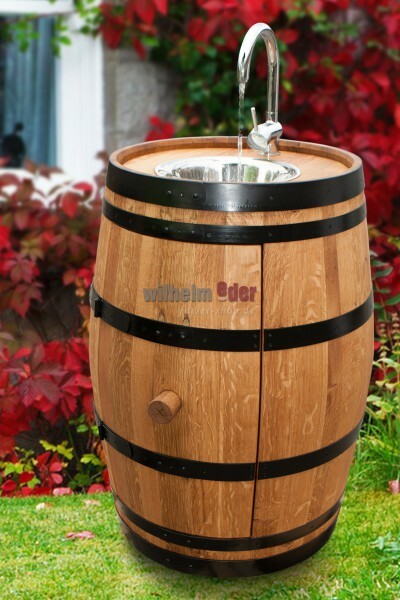 A nice highlight for your summer kitchen, restaurant or just for washing hands after working in your garden.